We created a three-dimensional (3D) viscoelastic finite element model of the crust to study post-seismic influences of the Wenchuan earthquake, considering both the horizontal fragmentation and vertical strata of the crustal material in the Sichuan–Yunnan region, and the asymmetrical static displacement of hanging wall and footwall on the fault plane in relation to the earthquake. Results indicate that (1) a far-field accumulated horizontal deformation of approximately 0–20 mm occurred inside the Sichuan–Yunnan block, 10 years after Wenchuan earthquake, due to the medium’s viscoelastic relaxation effect, and the deformation was greater in the north than in the south. (2) The far-field accumulated vertical deformation of the medium’s viscoelastic relaxation in the Sichuan–Yunnan block was small (0–4 mm) during the same period. (3) A belt of high horizontal and vertical deformation gradients are evident along the Xianshuihe and East Kunlun faults. Coincidentally, several significant earthquakes (MS 5.4 Daofu 2010, MS 5.7 Luhuo 2011, MS 6.3 Kangding 2014 and MS 7.0 Jiuzhaigou 2017) were located on the belt described above. (4) The seismic activity of the faults of increasing Coulomb failure stress is stronger than that of other faults, generally. This study was supported by the Natural Science Foundation of China (41604105). Chen, Y. T., Xu, L. S., Zhang, Y., et al. (2008). 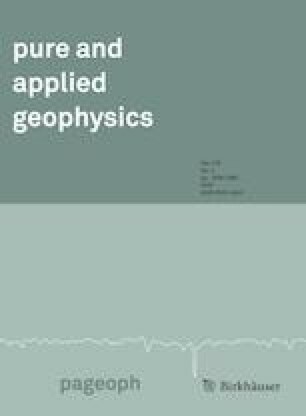 Analysis report of Seismic source features about Wenchuan earthquake on May 12, 2008[EB/OL]. http://www.csi.ac.cn/sichuan/. Ji, C., & Hayes, G. (2008). NEIC, Preliminary result of the May 12, 2008 Mw7.9 eastern Sichuan, China earthquake [2008–05]. http://earthquake.usgs.gov/eqcenter/eqinthenews/us2008ryan/.